Spanish seems to be the second language of California, and the United States for that matter. It’s hard to go out in public and stroll around without hearing it murmured in the background. While direct immersion in a Spanish-speaking country is the most effective way to tackle this increasingly widespread language, this is not always practical. Even if you take Spanish classes in middle school, high school, or college, you still only wind up practicing it in school, usually only reading and writing. To learn a language you must be forced to practice it continuously over a large time frame, in ideally every context of your life. This strengthens your “language muscle” to where it becomes a habit that requires little effort, such as walking, driving, or speaking English. So what’s the best app to learn Spanish with? There are many convenient, economic, and fun options. While there are more than 100 mobile applications that claim to teach to Spanish quickly, I have chosen my top five below. Duolingo won the “best application” award in 2013 in the Apple App Store. It tracks your progress in an encouraging way and focuses on 1, 500 of the mostly commonly used words in the Spanish language. It’s my top pick because it incorporates voice technology for speaking practice and encourages continual practice of all four inputs and outputs of successful language learning: writing, reading, speaking, and listening. While it’s comprehensive and a great tool (touching on adverbs, pronouns, adjectives, and question vocabulary), its main weakness is that it does not specifically teach grammar, which is why I recommend complementing it with private tutoring and one of the more grammar-oriented applications below. 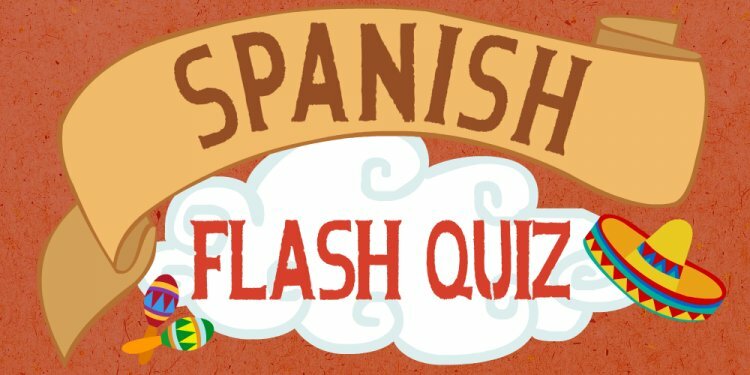 SpanishDict has great multiple-choice games to make learning fun, although it’s most useful once you already have a solid base and can carry on a basic conversation. Its dictionary tends to be more accurate than “Google-Translate” because most of its employees are from Spanish-speaking countries instead of European countries that speak Spanish as a second language. It contains the most comprehensive dictionary application I have yet to find and it incorporates common phrases where the searched words can be properly used. It’s also frequently checked and added to by native Spanish speakers from all over the 24 Spanish-speaking countries. Learn Spanish by MindSnacks is the funniest application, most appropriate for younger learners. It actually made me laugh the first time I experimented with it, but I won’t provide any spoilers here. One of the game options I particularly like is when it pronounces a word aloud and then you need to correctly identify it on the screen, while a clock is ticking away. It also keeps score with fun badges and other cartoon-like images. Full access to the first 50 lessons is and it is money well spent. The images are most appropriate for younger children but can be fun for any age! Rosetta Stone is arguably the most well-known language-learning tool, and also the most intensive. One distinguishing factor is that it attempts to immerse its users in Spanish immediately without explaining and translating everything in English, as if you were learning Spanish as a child, instead of as an adult, which is most likely how you acquired English (or your native language). While this can be frustrating for those who want their activities explicitly translated so they understand every word and phrase, it can actually accelerate learning. I would only recommended this option for those who are especially motivated, have a special knack for language-learning, and don’t get flustered easily. Memrise is possibly the most creative app, designed to teach you specific words through modules such as “Basic Argentine Spanish, ” “Intermediate Spanish, ” and “100 most commonly Spoken Spanish words”. Each contains several lessons reviewing 10-20 words. It’s most creative in that instead of learning through mechanical repetition, it incorporates clever plays on words to boost learning and make it fun. For example, “bañarse” is a reflexive Spanish verb that means “to shower or bathe oneself, ” and is remembered by “However shy you are of nakedness as you shower, you’ll never be able to ban your ‘arse’ from the bath!” Once your brain makes this “click” it’s unlikely that you will forget this word! Enjoy your Spanish learning (don’t forget it’s supposed to be fun) and don’t hesitate to contact me with questions or comments. Jason N. tutors in English and Spanish in Fairfax, CA. He majored in Spanish at UC Davis, lived in Mexico for 3 years where he completed a Master’s degree in Counseling, and studied Spanish Literature and Psychology at the University of Costa Rica. Learn more about Jason here!